Anyone who has ever looked for a job knows how difficult it can be. The stress can be over whelming. Even with proper training, it can still be a headache. We need to do everything we can to de-stress our lives and sometimes that means getting help from well established companies that specialize in helping you. 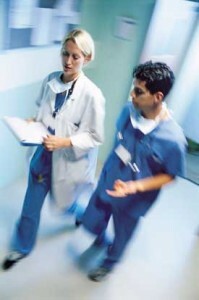 We can help with travel nursing jobs for nurses. My Nurse Recruiter has an excellent reputation of working with the best travel nursing agencies, we understand both perspectives and try to put the heartaches and headaches out of the employment process by doing all the work. We are very confident in being able to find positions all over the country for our nurses. After all, we have been doing this since 2006. As it turns out there is a big demand now for travel nursing jobs. When a nurse completes their online profile its sent to some of the top travel nursing companies in the country. Don’t waste your time applying to different agencies, we will handle it all. The profile is matched up with a good travel nursing company and sometimes a nurse can receive a response in a day. All you have to do is fill out our 2 minute profile submission and tell us a little about yourself, where you want to work and how soon you want to start. Then relax. We take over from here sending your information to the best travel nursing companies. Everyone at My Nurse Recruiter treats you with respect realizing that you are vital to our clients and we strive to position them where they will thrive, becoming an asset to the company. In the time you have during the day, make a few minutes to fill out an application and begin your search for a better more fulfilling life. Let My Nurse Recruiter help by working for you and taking away that big headache.